Posted by Brawlin Melgar Summary: EMC and Lenovo Launch Unlimited Online Data Backup Service for Small Business Professionals - The online backup service is sold with the Lenovo ThinkPad SL series notebooks. The new service is available on all new Lenovo ThinkPad SL series notebooks and is powered by EMC(R) Mozy(TM), the industry-leading online data backup service for consumers and businesses. Lenovo ThinkPads are available for rent. 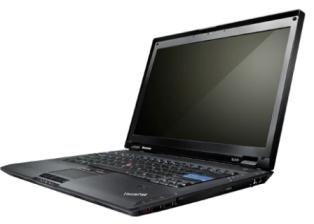 For more information about renting, go to Lenovo Thinkpad Rental page. "We looked to EMC's Mozy as the premier online data backup and storage service for Lenovo customers. We chose them specifically because of their innovation and industry leading solutions," said Henry Hicks, Vice President of Sales & Marketing for Lenovo Worldwide Services. "Because data protection and security are growing concerns for businesses we wanted a world-class online data backup and storage solution to complement Lenovo's world-class products. EMC's Mozy delivers that with the right level of security and quality." As small and medium businesses, SMBs around the world look for a cost-effective and easy way to protect their information, they are increasingly looking to online backup. Mozy provides a simple, automatic and secure online backup service to more than 850,000 users across the globe. "Protecting information on personal computers is especially critical for small businesses that can't tolerate data loss or employee downtime. We're thrilled that Mozy has been selected to help protect the personal and business data for Lenovo ThinkPad SL users," said Vance Checketts, Chief Operating Officer of EMC's Mozy business unit. "The Lenovo partnership accelerates our plans to expand the Mozy service worldwide, and we look forward to offering international customer support and localized language versions." The new Lenovo Online Data Backup service powered by EMC Mozy is available immediately as a free 90-day trial with up to 5 GB of storage with the purchase of select Lenovo notebook models. More information on pricing and availability can be found at: www.lenovo.com/protectmydata. Mozy is the leader in online data backup for consumers and businesses, managing more than 10 petabytes (10 million gigabytes) of information across multiple data centers. With more than 850,000 users and 23,000 business customers, Mozy offers a simple, automatic and secure service for backing up data over the Internet. Mozy was acquired by EMC Corporation in 2007.